Afton Chemical Corporation develops and manufactures petroleum additives that help fuels burn cleaner and more efficiently enabling engines to run smoother and machines to last longer. Afton is the only petroleum additive supplier with market-leading positions in multiple major fuel and lube additive categories. Within the mining industry, Afton is a leader in diesel fuel additives such as detergents, Cetane and lubricity, as well as lubricant additives for axle, engine and hydraulic oils. By partnering with Afton, you are collaborating with some of the best chemists and experts in the industry. Afton’s premium diesel detergent additive helps prevent diesel fuel filter plugging and protects against injector sticking, to improve equipment availability. This allows mining operations using large vehicles and heavy machinery to maximise equipment reliability and optimise preventative maintenance schedules. Machinery performs better for longer periods, with less downtime. Afton Chemicals offers Greenclean® detergent technology to mining clients. The proprietary chemistry helps prevent premature diesel fuel filter plugging, without compromising the filter’s ability to capture dirt, rust and inorganic fuel contaminants. Greenclean also prevents fuel injector deposits from forming on traditional and new fuel system injectors, including high-pressure common rail (HPCR) fuel systems. 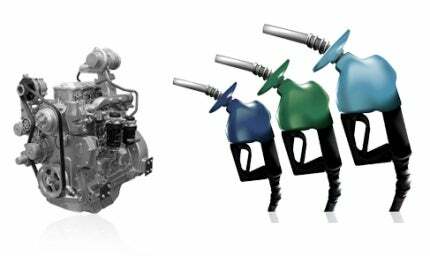 When organic matter passes through the fuel filter and fuel injector, it burns off during combustion. In addition, Greanclean is proven to prevent both traditional coking deposits on fuel injectors, as well as internal diesel injector deposits (IDID), which results in power recovery and restored fuel economy lost to a build-up of deposits. Greenclean Detergent Technology is widely used in diesel fuel engines in the mining industry to prevent expensive downtime caused by prematurely plugged fuel filters, and engine failure due to deposits on injectors. The additive has been shown to reduce both premature filter plugging and injector failure rates. Afton’s experienced staff listen to customers needs and respond accordingly; working together from project concept to product launch to create the right solution. The company works to differentiate your products, set you apart from the competition, and create value that resonates with customers. Afton’s Passion for Solutions™ helps customers build on their sales and plays an important part in helping to achieve their business and profitability goals.